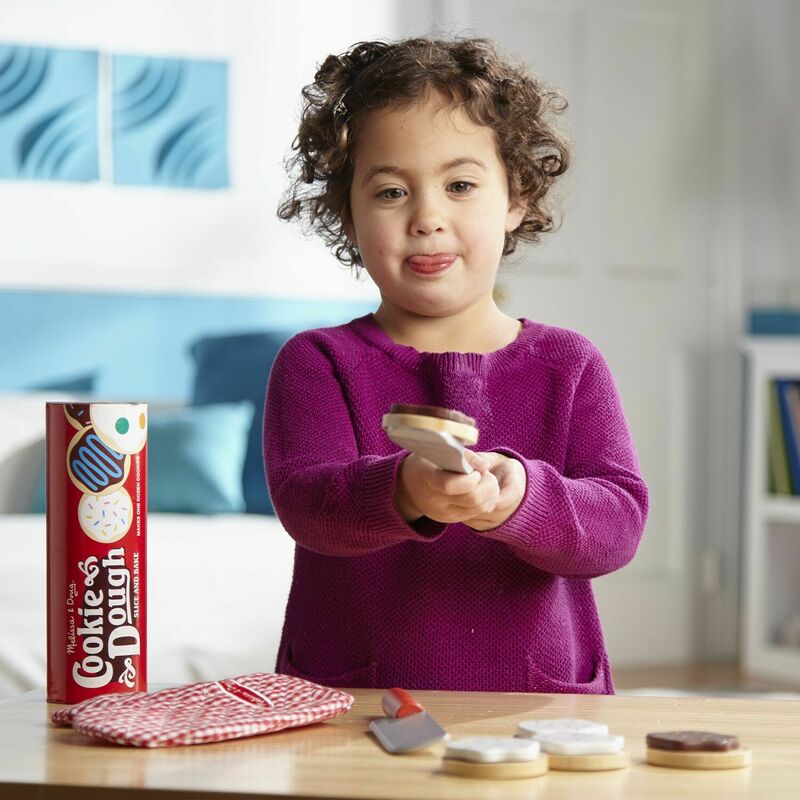 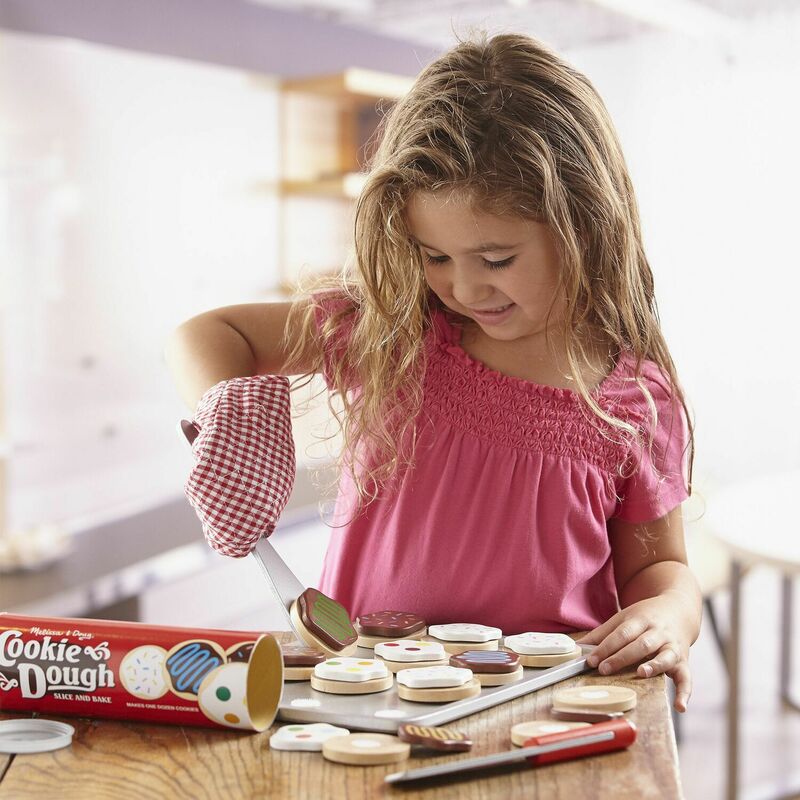 Kids will enjoy cutting and baking their own pretend cookies! 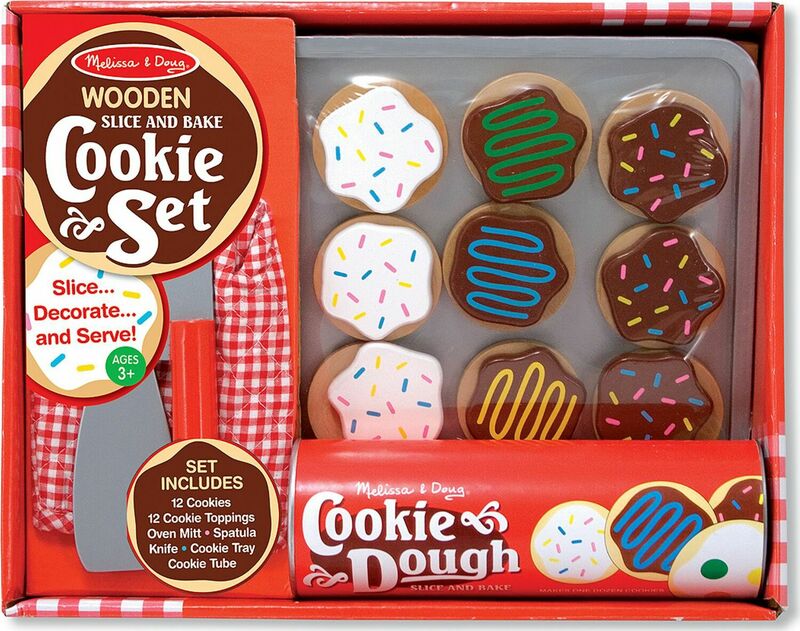 This colorful wooden set includes 12 wooden, sliceable cookies and 12 toppings, wooden knife, spatula, cookie sheet and a kitchen mitt for safe, "low-calorie" play! 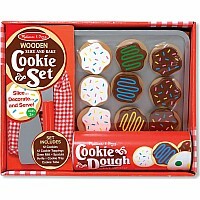 The cookies store in a durable dough tube. Measures approximately: 13.25 x 9.00 x 1.75 inches..